If there was one thing you could work on that would give you positive benefits in almost every other area of your life through improved health, energy and mental clarity, would you want to do it? We bet you would. That thing is sleep. And we’re not just talking about getting more sleep, but getting better sleep. Professional athletes, like Michael Phelps and LeBron James, tout quality sleep as the reason they can recover and perform at their peak physical state in competition. And powerful business owners, like Jeff Bezos, Bill Gates and even Arianna Huffington, say that getting good sleep each night helps them to be alert, energized and ultimately more successful in what they do. Sleep matters. 1. Drop the temperature to create the perfect environment. Believe it or not, it’s best to sleep in a cold room, in fact, between 62 to 68 degrees Fahrenheit, so you may need to turn on the A/C if you live in a warmer climate. At night during sleep, the body goes through a natural drop in temperature, and it’s ideal to create the right cold environment for that process to happen more easily. 2. Avoid technology at least 30 minutes to an hour before bed and invest in blue-light blocking. Do you find yourself scrolling social media and answering texts and emails as you lay in bed and then wonder why you can’t fall into a deep sleep? The blue lights from technology interfere with your circadian rhythm quite badly. To fix this, you can start by using the Night Shift mode on the iPhone every night once it gets dark outside to remove those blue lights from your phone screen, you can also try the f.lux software (https://justgetflux.com/) on your computer to do the same thing. In addition, commit to turning off the TV, closing the computer and putting away your phone at least 30 minutes before you crawl in bed as well — this will give your body and mind a natural transition time before you drift off. A lot of sleep experts even recommend that you get an old school analog alarm clock so you can leave your phone out of your room entirely. 3. Increase your magnesium intake smartly. Many people are unknowingly deficient in magnesium, and this important mineral is responsible for hundreds of processes in the body — including helping you to get into and stay in a deep sleep. 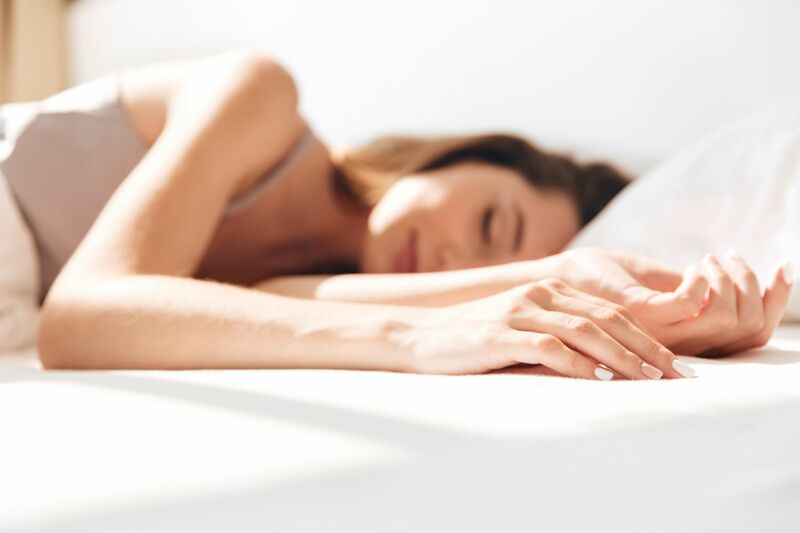 If you really want to improve your sleep, try taking a magnesium supplement, which can help you relax, as well as ease your sore muscles, reduce your cortisol and set you up for a quality snooze. You can find topical magnesium products like Magnesium Ease spray (https://www.activationproducts.com/product/ease-magnesium/), you can soak in an Epsom salt bath (which has a lot of magnesium), you can take Natural Calm magnesium effervescence in a beverage (http://naturalvitality.com/natural-calm/) or you can try eating more magnesium-rich foods like pumpkin seeds, dark chocolate, almonds, bananas, tofu, spinach and more. It’s best to increase your magnesium intake little by little, so as not to confuse your body and upset your digestive system. 4. Shoot for the core hours of 10 p.m. to 2 a.m. Although it’s tempting to stay up late on the couch watching Netflix shows, you can’t really make up for going to bed late by sleeping in. That’s because our bodies are designed to seek quality sleep during the core hours of 10 p.m. to 2 a.m., when it’s dark outside. If you find that your bedtime is much later than 10 p.m., try moving it up by 15 minutes every few days until you are closer and closer to your goal. This will give you the greatest chance of getting quality sleep during those important hours. 5. Keep it dark. Turn off night lights, invest in black-out shades, wear a slumber mask — do whatever you can to make your sleep sanctuary as dark as possible to help your body get into a deep sleep and stay there. Even a little bit of light can disrupt your natural rhythms. 6. Move your body first thing in the morning. According to the body’s natural hormonal pattern, cortisol is naturally higher first thing in the morning, so that’s an excellent time to do your workout and/or take a walk or do some light movement at home — to capitalize on that rise. Not only will your morning workout feel great, but it will also set you up for a better night of sleep that night. Evening workouts, especially tough ones, could potentially keep you up at night, so if your schedule allows, shoot for exercising during the first part of the day. Quality sleep helps your mental state, your ability to recover from workouts, your performance in workouts, your performance at work, your mood, your metabolism and so much more. It’s absolutely something worth working on. And when it comes to bettering your sleep, you don’t have to take every step all at once. Try just one to two at a time and see how you feel. Happy sleeping!